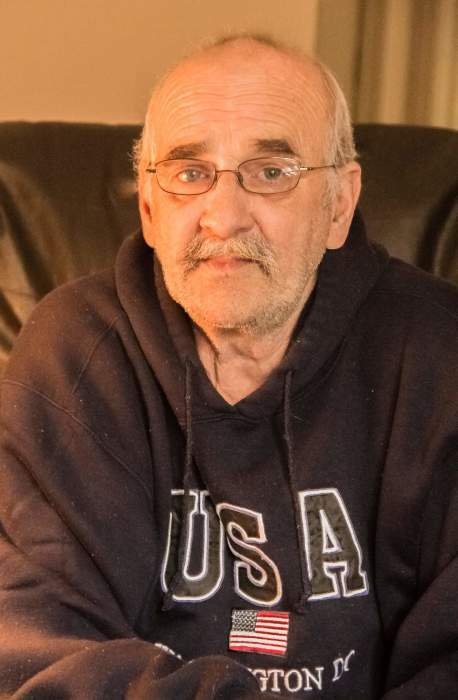 Steven Joseph ”Pepe” Peters, 68 of Prospect Hill, N.C. passed away Friday January 18,2019 at home with his beloved wife Laurajean Peters and his sister Lynn M. Adams by his side. Steve was born in Fitchburg, Massachusetts on April 4, 1950. Son of Homer and Rita Dionne Peters. Steven was raised in West Groton, Massachusetts before moving to Vermont for many years, then moving back to Massachusetts where he met his wife and moved to North Carolina to retired in June of 2016 at which time he was diagnosed June 9,2016 with stage 4 NSCLC. Steven was a laborer and machine operator until he retired. Steven enjoyed,camping,listening to music, watching western, walking his dog Comet, but what brought him most joy was spending time with his grandsons Sawyer and Tavish. Sister: Lynn M. Adams and her husband Herbert of Athol, Massachusetts Several nieces and nephews, cousins His dog Comet who never left his dad's side. Sign an online register book at www.omegafsc.com. Omega Funeral Service & Crematory is entrusted with arrangements.